Dr Desné Masie is an economist and thought leader in international economics and financial markets, specialising in fintech and emerging markets. Dr Masie has had invited speaking engagements from the UK and EU Parliaments, the FCO, the Royal African Society, Newsweek, the London School of Economics, London Business School, the Commonwealth, the Overseas Development Institute, the Nelson Mandela Foundation, and the Frontline Club. Her writing has been published in the Guardian, New African Magazine, African Arguments and The Times. 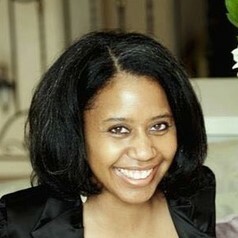 She has held senior roles in academia, media and finance in the UK and South Africa, including the Financial Mail, Investec and Alexander Forbes Financial Services. She was the corporate relationship manager of the Royal African Society, and is a visiting scholar in international political economy at the Wits School of Governance. She holds a PhD in Finance (Edinburgh), MSc Finance & Financial Law (London), BA Hons (Unisa) and BA (Wits).